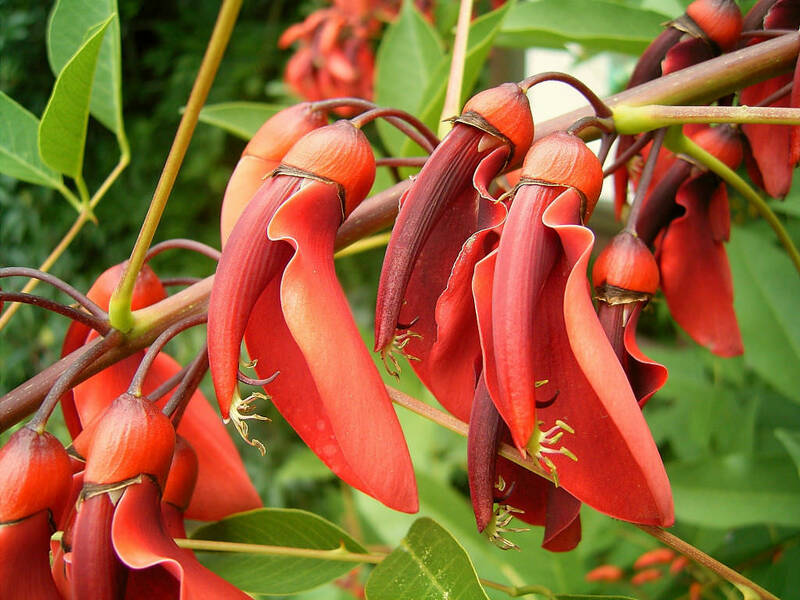 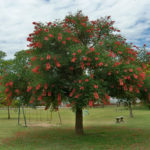 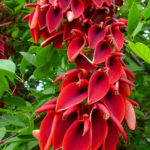 Erythrina crista-galli is a small, deciduous tree that grows up to 26 feet (8 m) tall and equal width with a somewhat crooked trunk that has a dark furrowed bark. 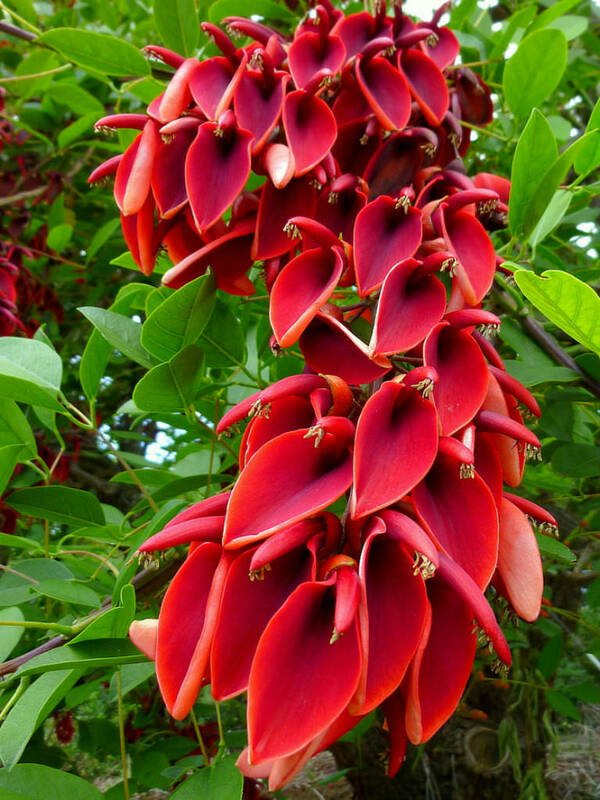 The leaves are composed of 3 dark green leaflets, up to 6 inches (15 cm) long and up to 1.5 inches (3.8 cm) wide, that have curved thorns along the veins on the backside and on the petioles. 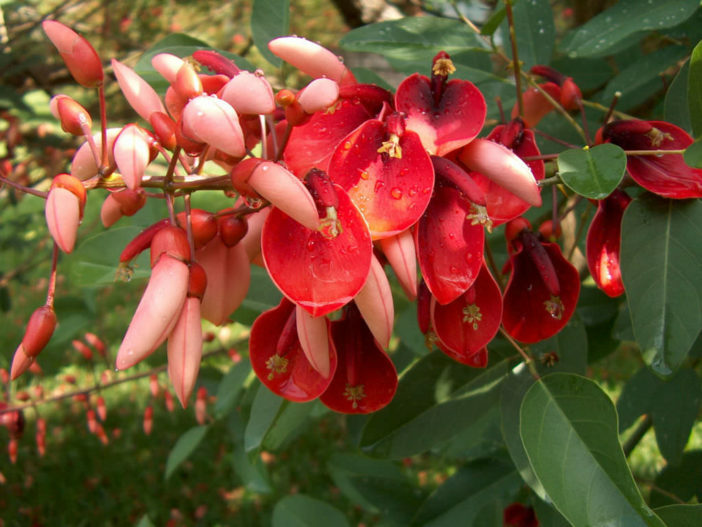 The flowers are up to 2 inches (5 cm) long, up to 1 inch (2.5 cm) wide, usually scarlet red but sometimes pink, red-purple or with white markings, are borne singly or in groups of 2 to 3 in loose terminal racemes to 2 feet (60 cm) long from spring to summer. 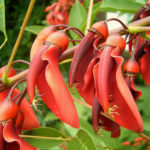 These inflorescences emerge from the current year’s growth and several flushes of flowers can appear, particularly if old flower stalks are pruned off. 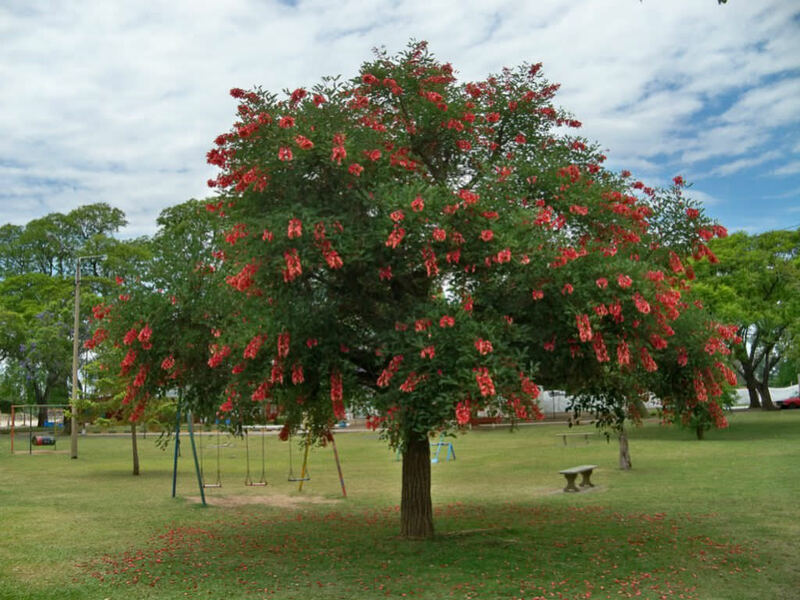 Native to Argentina, Uruguay, southern Brazil and Paraguay.